The IAI's Biennial Lecture has since 2005 been held at the European Conference of African Studies. It provides leading scholars with the opportunity to offer fresh perspectives on the changing face of contemporary Africa. From 1948, 1950-72 and between 2003-17, the IAI Lecture was known as the Lugard Lecture after the Institute's founding chairman. The lecture addresses a simple question: What is the point of African Studies? 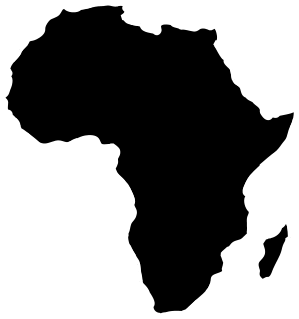 It argues in response that there is value in studying Africa. This value concerns the knowledge likely to be acquired about Africa, but also the understanding which such knowledge yields about the world. The question may be simple, but the answer is complex. “Urbane scholarship” refers to a way of engaging with scientific knowledge that reveals sophistication in dealing with the world we live in. The claim is that this sophistication is an intellectual trait bound to be fostered by the study of a continent, which is in many respects what it is because of the way the world is. The lecture will, therefore, make a case for grounding the study of Africa more firmly in broader claims about the human condition and less on Africa’s specificity and the immediate benefits to be drawn for such practical concerns as development and well-being in Africa. IAI's Biennial Lecture 2005, by Emmanuel K. Akyeampong, Race, Identity and Citizenship in Black Africa: The Case of the Lebanese in Ghana. Download Abstract PDF . The final version of this lecture was published in Africa 76 (03), August 2006, pp 297-323 (freely accessible at Cambridge Journals). IAI's Biennial Lecture 2003, by John Middleton, A View of Africa: the International African Institute. IAI's Lecture 1972 (London), by Frederick Pedler, Universities and polytechnics in Africa. A version of this lecture was published in Africa 42 (4), October 1972, pp 263–74. IAI's Lecture 1970 (Paris), by Germaine Dieterlen, Les Cérémonies soixantenaires du sigui chez les Dogons: onzième Lugard memorial lecture. (‘The sextennial ceremonies of the Sigui among the Dogon’). A version of this lecture was published in Africa 41 (1), January 1971, pp 1–11. IAI's Lecture 1967 (London), by Daryll Forde, Anthropology and the growth of African studies: Africa after the first world war. Download Abstract PDF . A version of this lecture was published in Africa 37 (4 ), October 1967, pp 389–406. IAI's Lecture 1963 (Brussels), by Hubert Deschamps, Et maintenant, Lord Lugard? Download Abstract PDF . A version of this lecture was published in Africa 33 (4 ), October 1963, pp 293–306. IAI's Lecture 1961 (Rome), by Vinigi Grottanelli, Sul Significato della scultura africana. Download Abstract PDF . A version of this lecture was published in Africa 31 (4), October 1961, pp 324–43. IAI's Lecture 1959 (London), by Melville J Herskovits, Anthropology and Africa - a wider perspective. Download Abstract PDF . A version of this lecture was published in Africa 29 (3), July 1959, pp 225–38. IAI's Lecture 1958 (Brussels), by Lucy P. Mair, African chiefs today: the Lugard memorial lecture for 1958. A version of this lecture was published in Africa 28 (3), July 1958, pp 195–206. IAI's Lecture 1953 (Lisbon), by Emory Ross, The Dual Mandate for tomorrow. A version of this lecture was published in Africa 23 (4 ), October 1953, pp 331–9. IAI's Lecture 1952 (Brussels), by Moeller de Laddersous, Le Message de Lord Lugard et l’Afrique d’aujourd’hui. Download Abstract PDF . A version of this lecture was published in Africa 22 (3), July 1952, pp 197–214. IAI's Lecture 1950 (Amsterdam) by Margery Perham, Lord Lugard: a preliminary evaluation. A version of this lecture was published in Africa 20 (3), July 1950, pp 228–39. The IAI's Lectures published on this site are licensed under a Creative Commons Attribution-NonCommercial-NoDerivs 3.0 Unported License.